A judge has imposed fines totalling €5,200 on the Health Service Executive for failures at the psychiatric unit at St Luke's Hospital. The fines were imposed after the Mental Health Commission took the first prosecution of its kind against the HSE under the Mental Health Act. 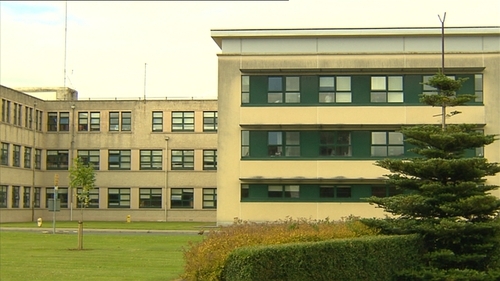 The case involves failures at the Department of Psychiatry in the Kilkenny hospital. The HSE pleaded guilty to four charges relating to conditions at the unit at Kilkenny District Court today. The Department of Psychiatry is a 44-bed unit for patients, built in 2001 and covering the catchment area of Carlow and Kilkenny. Judge Brian O'Shea heard that the hospital had failed to ensure the premises met the needs of patients, it was not clean and a programme of maintenance was not in place. The seclusion facilities were also not found to be clean or maintained to ensure the privacy of patients was respected. Inspectors also found the seclusion register had not been signed by a consultant for one patient, as required. Martin McMenamin, Assistant Inspector with the Mental Health Commission, told the Court that the seclusion room had ingrained dirt on the floor. He said there were also patches of food on the floor. He said the air was stale, there were no windows for natural light and the ventilation system was clogged. Mr McMenamin said it was an affront to a patients' dignity to be placed in these conditions. Mr McMenamin said that going into a treatment room, inspectors were almost assaulted by the smell and found a colostomy bag there. The court has heard that the HSE has spent over €1m to bring the psychiatric unit at St Luke’s up to the standards required. A new company has been employed to do deep cleaning, and hygiene audits are being done. Judge Brian O'Shea imposed fines totaling €5,200 on the HSE for the failures at the St Luke’s Hospital psychiatric unit. He said that these facilities house the most vulnerable people and if it were not for the Mental Health Commission, the conditions would not be brought to the outside world. He also noted the evidence of Mr McMenamin that the state of the facility ran contrary to everything a hospital should stand for.